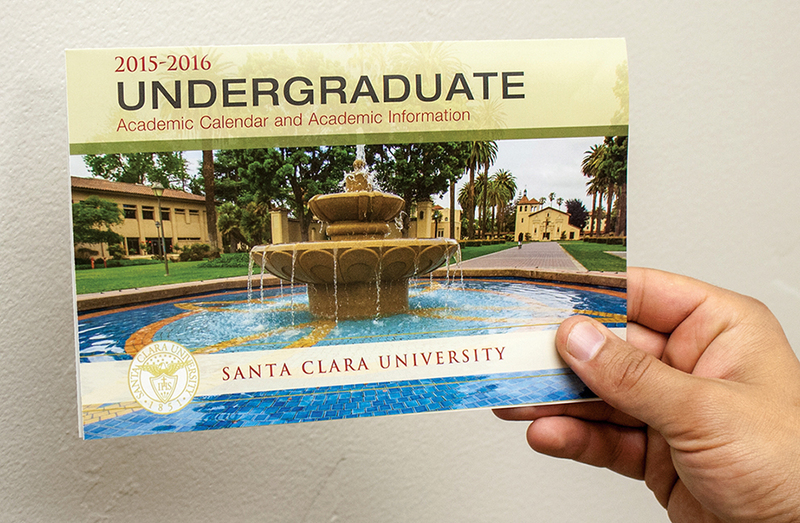 Santa Clara University 2015-16 Undergraduate Academic Calendar 3 | FineLine Graphics & Design, Inc. 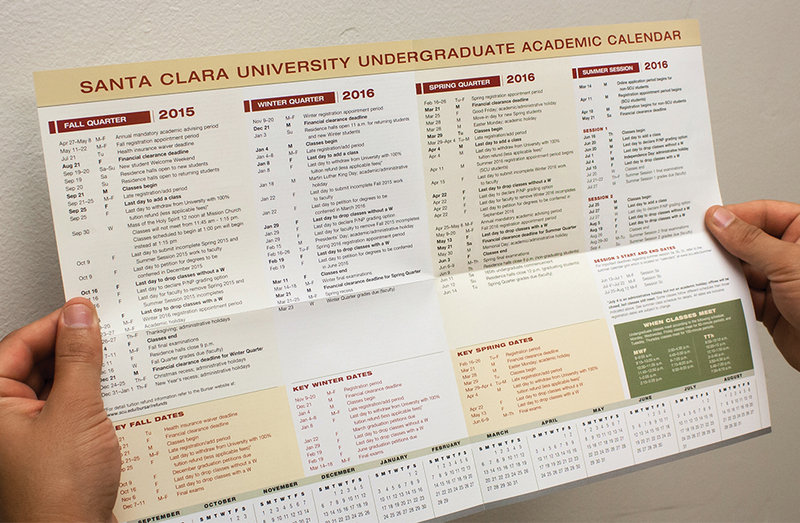 Academic Calendars are like the roadmap to a student’s voyage through college. 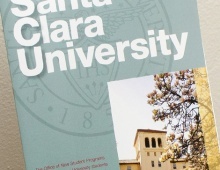 Being aware of the important events around campus can be crucial for a student’s success. 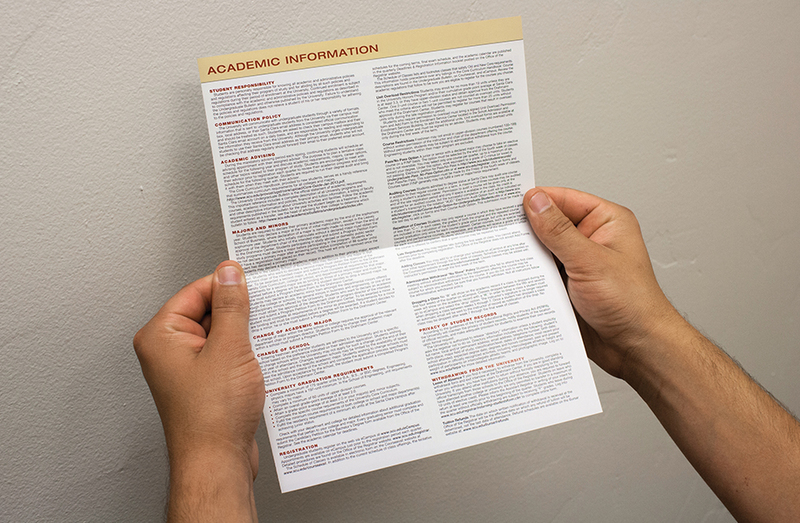 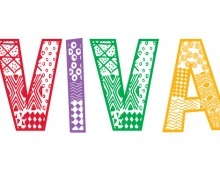 The goal of this re-design was not only to create excitement for the upcoming school year but also to improve the hierarchy and organization of the information.